An injury to the returning Lynden Dunn further soured Collingwood’s loss to Richmond at the Swinburne Centre on Thursday evening. Collingwood’s VFL outfit will learn plenty from its practice match loss to Geelong on Friday, according to Academy Coach Matthew Boyd. 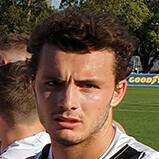 Collingwood’s strength in depth was on display Friday night in its VFL practice match win over Coburg. 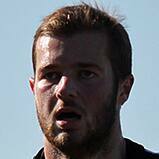 Collingwood’s VFL pre-season began in hollow fashion with a draw against Northern Blues. Collingwood’s VFL side will step up its preparations for the 2019 season with a practice match against Northern Blues on Sunday. 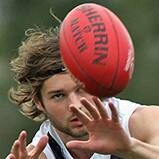 After 12 rounds of the VFL season, Alex Woodward had not polled a Liston Trophy vote. By the end of the count, he was three votes short of the leaders. 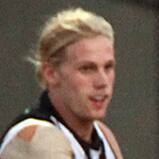 Collingwood defender Marty Hore has been named in the VFL's Team of the Year for the second time in as many seasons. Collingwood’s inability to handle Essendon’s pressure was the reason for its Elimination Final defeat, according to coach Jared Rivers. Collingwood’s VFL season came to an end on Sunday as it was defeated by Essendon at Stannards Stadium. Collingwood meets Essendon in a VFL Elimination Final from 2.10pm on Sunday at Port Melbourne's North Port Oval. Tyson Goldsack made a successful return from injury in the VFL on Saturday, and he firmly believes his season has plenty left in it yet. Heading to watch Collingwood take on Essendon in the VFL Elimination Final this Sunday? Make sure you pre-book your tickets to avoid any possible queues on game day. Collingwood will take on Essendon in a VFL Elimination Final at North Port Oval next Sunday. Collingwood overcame a sluggish first half to keep its hopes of a VFL top-four spot alive.